British Gas Energy is about as old as any firm in the land. Starting life in 1812 as a gas company (electricity hadn’t been invented yet, nor had photography, the telephone or pasteurized milk for that matter). It oversaw the development of street lamps, gas meters and numerous different sources of energy to help make the British energy landscape what it is today. 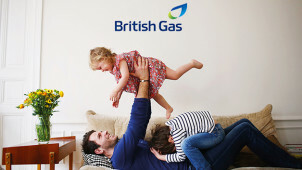 These days British Gas Energy keeps 11 million homes running, thanks to gas and electricity tariffs that are fairly priced and easy to understand. With a mixture of pay as you go and fixed price tariffs to choose from, you’ll be sure to find a plan that works for your lifestyle. With smart meters, smart home products and a handy app to make keeping on top of your bill a breeze, British Gas continues to be an energy supplier par excellence, 200 years on and counting! How do I use my British Gas Energy discount? Sign up to British Gas Energy’s mailing list to hear about some brilliant offers! Does British Gas Energy have an app? It certainly does, it’s available for Apple and Android and can help you submit meter readings, pay your bills, change your tariff and book an engineer! Where does British Gas Energy get its power from? BGE draws its power from a number of sources. Currently, its fuel mix comprises mostly renewables, natural gas and nuclear. See its About Us page for more details. What is the Warm Home Discount scheme and can I get it with British Gas Energy? This is a government support scheme for those who need extra help with their bills. Head to the Warm Home Discount page to find out more. Contact British Gas Energy to cancel your tariff, you’ll then need to cancel your Direct Debit with British Gas or with your bank. Your energy is the heart of your home. Stay warm and well lit with the good folks at British Gas Energy, who’ve been providing great value utilities since before Queen Victoria was on the throne. Get the energy you need for less with a British Gas Energy discount from vouchercloud and you’ll be sure to make a saving on your bills - just the ticket as we all know how these things can add up! The whole world is getting smarter thanks to the onward march of the Internet of Things. Pretty soon all of your household objects will be connected to the web to make your life easier - from your fridge to your oven, maybe even your front door too! British Gas Energy is already harnessing the power of the IoT by using Hive products to help you control your heating and lighting even when you’re not at home!